There are three ways to play with this adorable play mat! 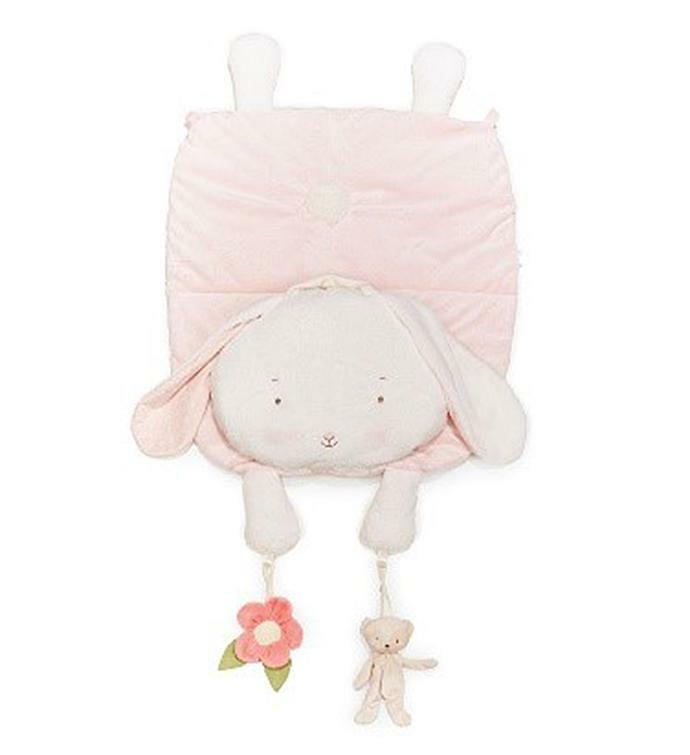 It’s a reversible, so if you tuck the mat inside the head, it becomes a snuggly pillow, and there are also two toys attached: a bear and flower. It's a fun, imaginative gift for your little loved one.